How is piobaireachd different from other pipe music? The word piobaireachd, meaning piping, has been around for longer than most non-Scottish Highlanders have been aware of pipe music. 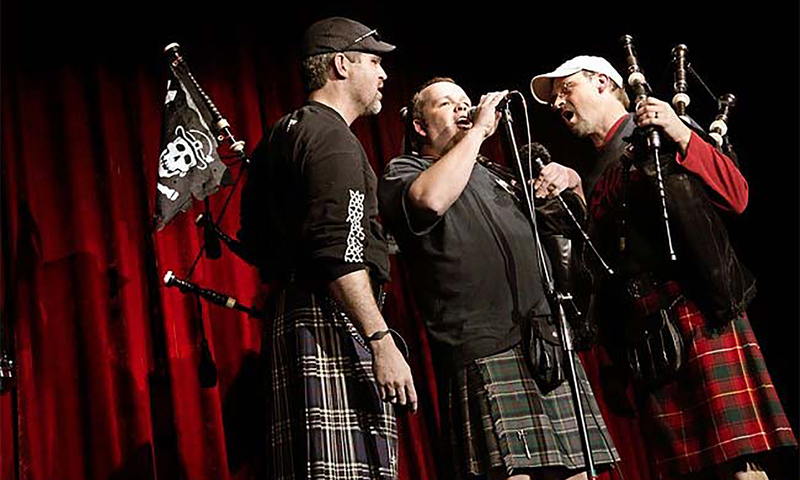 Consequently it has come to denote a particular style of music of the Great Highland Bagpipe, the development of which pre-dates the subjugation by the English of the Gaelic-speaking peoples of the Scottish Highlands. Sometimes the Gaelic phrase “Ceol Mor” (or “Big Music” in English) is used as a more descriptive term for the type of music I am describing here. Since the form of this pipe music, or piobaireachd, was well-established by about 1750, and since the majority of tunes in the piobaireachd repertoire date from that time period or earlier, the musical style seems rather odd to ears used to the familiar marches, strathspeys, reels and jigs normally associated with the Scottish bagpipe. These latter tunes typically have a simple, regular structure composed of short repeating phrases, joined into repeating parts. The tunes are usually easy to sing along to! Piobaireachd sounds very different. The tunes seem long, meandering and structureless to an untrained ear. In fact they are none of these things (actually, the tunes are quite long – I will give you that), but the music is certainly complex, and for this reason an understanding of the underlying structure is crucial to appreciating the music.